Re: MX (Peacekeeper) deployment concepts. Artist's impression of locomotive and rail cars that constitute the missile train of the Peacekeeper Rail Garrison. Artist's impression of Peacekeeper Rail Garrison rail yard. here short Video of Minuteman I Air Launch after drop from a C-5 Galaxy ! Found another upload of the video referenced by sferrin in a previous post. The episode "Missile Experimental" part of The Nuclear Age television series produced by Central Independent Television and WGBH Boston from 1989. This report presents systems concept descriptions for sea-based MX missiles, using surface ships as transporters. Near-term (1985-1990) and far-term (1990-2000) systems are described. Floating-launch methods are proposed, using either encapsulated missiles or the simpler (bare) HYDRA-type vertical floating launch. Parameters described include: force composition, missile jettison techniques, port facilities, deployment areas, personnel requirements, system costs, vulnerability, countermeasures, and C3 considerations. From DefenseImagery.mil, an artist's concept (top) of the superhardened capsule for the MX missile in the Closely Spaced Basing mode, showing the missile and launch canister inside the capsule. Date Shot: 5/1/1983. Don't think I have seen this MX Missile video here at SP. Interesting and quite amazing to see all the complexities of just getting the MX's into the MMIII silos at Vandenberg. It makes me wonder what it will take to preserve for the long term the ICBM industrial base if we ever needed to replace the MMIII in the future. I truly believe that a vast majority of the population does not understand the long term commitment required to keep the necessary skill levels in place able to research, develop, test and deploy such a complex weapon system. On many other blogs I have had people basically say "hey if the world becomes a more dangerous place and if we ever have to produce a missile or a nuclear weapon again it will be easy to just pick the "blueprints" off the shelf and start building again." On many other blogs I have had people basically say "hey if the world becomes a more dangerous place and if we ever have to produce a missile or a nuclear weapon again it will be easy to just pick the "blueprints" off the shelf and start building again." The frightening / depressing thing is politicians think the same way. When's the last time we had an engineer, general, or someone familiar with the complexities of aerospace manufacture anywhere near the White House? Dark days ahead indeed. this Youtube Video answers those questions about "Buried-Trench Mobility"
According to First Strike! : the Pentagon's Strategy for Nuclear War by Robert C. Aldridge (South End Press 1983), there was also the Shallow Underwater Missile (SUM). An MX missile would be strapped to both sides of small diesel-powered submarines. These subs would move about in the shallow waters of coastal waters of the United States where they could be protected from enemy anti-submarine forces. The submarines would be forced to surface to fire their missiles. Other sources call the scheme Shallow Underwater Missile System (SUMS) or Submersible Underwater Missile. The purpose of this report is to make available to the general public an unclassified summary of the rationale and system evaluation considerations that led the U.S. to decide to deploy the M-X intercontinental ballistic missile (ICBM) in a multiple protective structure (MPS) basing mode. The search for survivable ICBM basing concepts' beyond our Minuteman basing,started in the mid-1960's when technology pointed to the eventual vulnerability of fixed targets. 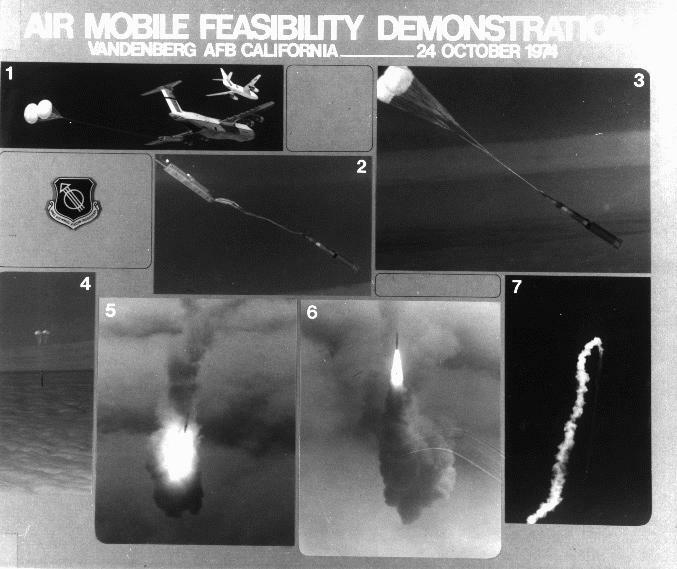 It received initial emphasis when the Soviets deployed the SS-9 missile aimed at destroying our ICBM launch control centers -- an act clearly indicating their intent to be capable of attacking ard destroying our military forces. Further threats developed, centered around Soviet deployment of a new generation of a ccurate, multiple warhead missiles. In response, we pursued technology advances and system design studies which led to various proposals to start full scale development on a survivable M-X system -- the step involving final design and setting the basis for production and deployment. T1 is step was finally taken in September, 1979. Much discussion with the Congress and the public has taken place in recent years, both in terms of environmental and public interface matters and in terms of the military adequacy of the M-X/MPS system. After extensive evaluations and presentations to Congress to fully examine optional courses of action, as called for in the Fiscal Year 1980 Defense Authorization Act (the Stevens Amendment), the Fiscal Year 1981 Defense Authorization Act specifically approved our final system recommendation of a 4600 shelter M-X/MPS system (the Cannon Amendment). A major environmental impact analysis has been conducted. In public review and process at present is a draft of the third environmental impact statement (EIS) which focuses on basing area selection, public land withdrawal, and/or ptivate land acquisition. Full system basing in Nevada/Utah or Texas/New Mexico and split basing in both areas are addressed. Two previous EISs were issued. For 1976 we issued one concerned with a test site effort in Arizona. In 1978 we issued an EIS which analyzed, in depth, the alternate, reasonable basing modes. By reasonable, it is meant that the concept has to satisfy national policy and military performance objectives. This report summarizes all the concepts that received serious attention in past studies, but not all of them are reasonable by the above definition. None of the alternatives are without problems of one sort or another, but alternatives that are not reasonable and do not provide adequate capability pose the most serious problem of all -- an increased risk of nuclear war with the Soviets. I'm surprised they never considered this option based in the Great Lakes. Would solve the ASW question. Also the complete lack of an ASW threat would mean the missile submarines could be of very low performance in terms of stealth, speed, diving, etc. so why dig big deep pod or even a arfifical lake for a MX sub ? Don't mean to pound the drum again but when I watch the "pop up" video and other like it I see all the infrastructure - besides the actual missile - needed to test a new ICBM and wonder do we even have these capabilities today or if not how long and how expensive would it take to build this infrastructure. Interesting idea. Would such a deployment scheme have required the agreement of the government of Canada to be feasible? I presume that the boomers would go through the Saint Lawrence Seaway to enter the Great Lakes. As I pointed out these crawlers are intended for shallow, still water lakes not the Great Lakes which have an average depth of about 100m (328’) which would generate enough pressure to immensely complicate the design of a manned crawler. As to the threat of surface traffic and seabed wrecks this is no more a problem than the actual oceans. There is no diplomatic problem with Canada because they own their half of the lakes and the USA owns their half. France doesn’t get to tell the UK that they can’t base military units in the UK’s territorial waters in the English Channel. Besides Lake Michigan is more than big enough to base hundreds of missile carrying submarines in impunity from any possible threat. Plus of course Canada and the USA have cooperated on nuclear defence for decades. Any dedicated missile carrying submarine for the Great Lakes could be built there by their extensive shipbuilding industry. Especially as this submarine would not need to be much of a submarine in terms of deep diving, acoustic silencing, high speed, long endurance, etc. Even if they were built by EB and others the US and Canada both regularly transfer naval vessels through the Saint Lawrence. If Canada has issues with nuclear bombs then they can be loaded in US Great Lakes ports once the boat has arrived. The Rush-Bagot Treaty of 1818 places strict limits on naval armament allowed on the Great Lakes and Lake Champlain (a total of four vessels of 100 tons and one 18-lb cannon for each side). There have been specific waivers for vessels visiting the Great Lakes for training, and there was even a minor diplomatic flap when the US Coast Guard decided to arm its patrol boats on the Great Lakes with 7.62mm machineguns after 9/11. (They eventually decided it was OK because they were to be used for law enforcement rather than military purposes.) Placing nuclear weapons there would certainly have required a renegotiation of the treaty terms. At the time, I doubt Canada would have been terribly open to the idea. At the time, I doubt Canada would have been terribly open to the idea. And if so, the question suddenly becomes: "Yeah? And what're you gonna do about it?" Thanks for mentioning this because I was unaware. Why you always need someone with local knowledge to test any idea imposed from afar. The treaty’s intent is to demilitarise the border between Canada and the USA so neither country feels threatened from the other. The basing of weapons on this border that due to their ballistic nature couldn’t even hit targets in sub-artic circle Canada is hardly a threat to Canada. This is a similar argument to that used by the US that their MDA does not come under the BMD treaty because it is designed to defend against smalls scale ballistic missile attacks not the large scale potential of Russia. Then of course there is the precedent of the training ships. A similar arrangement could be entered into where ships for external defence of North America, with weapons only able to meet this role like BMD or ICBMs, can be based in the lakes if similar information to the training ships is provided to each side. Considering the close integration of US and Canadian forces in NORAD this is not such an impossibility. Finally the treaty has a six mouth exit clause. If Great Lakes basing, or in particular Lake Michigan, basing was seen as a necessary for US security – perhaps due to a significant advance in Russian ASW capability – then the US can just leave the treaty. It’s unlikely to result in a naval blockade on US Lakes traffic by Canada or an arms race in the area. On a slightly off topic note, I've seen a vaguely similar concept in fiction from the 1960s. Usually it involves an underwater launch silo (One episode of the 'Voyage to the Bottom of the Sea' TV series, more recently in the film 'Deepstar Six', but the 1966 novel 'Hunter-Killer' by Geoffrey Jenkins has to take the cake, it features a modified Polaris missile capable of putting a man (the V-POTUS) into orbit, launched from a semi-submerged capsule. Are there any examples of the concept being studied in real life that far back. Yes. The Germans had the V-2-in-a-can; the same German designers later pitched an updated version of the idea to the US Navy using a Jupiter missile, but didn't get far. Regards the Rush Bagot Treaty one might negotiate an amendment exempting lake Michigan which is the only one of the lakes that is completely within US Territory. ( no one is gonna put anything on Lake Champlain )An SSB or SSBN wouldn't be able to travel submerged between lakes anyway except between Huron and Michigan so confining the launcher to one lake is not a large sacrifice. A boomer or submersible barge would not have to worry too much about enemy ASW and Michigan is still pretty big ( and Deep) making a counter-force strike really difficult. Surround the lake with Safeguard ABM sites and you have a very robust and secure deterrent. Lake Tahoe is over a thousand feet deep and with surface dimensions of 22 x 12 Miles might be big enough to make a sub surviving a first strike likely. Illiamna Lake is nearly a thousand feet deep and has a surface area over a thousand square miles. Lake Meade is nearly 500 feet deep though it has a single point failure potential at the dam. OTOH if someone is nuking your dam its probably time to launch your missiles. Of course if this were practical one would expect to see boomers in the Caspian Sea and Lake Baikal. "THE MX - A LAND MOBILE ICBM" DESCRIBES THE PHILOSOPHY OF THE TRIAD AND THE ROLE MX PLAYS IN THIS DETERRENT FORCE STRUCTURE. THE MISSILE AND ITS BASING MODE ARE DESCRIBED INCLUDING ITS EXPANSION FEATURE. We still have it at VAFB, it just depends on where you want to do the testing. Also, that infrastructure didn't exist before MX and so, just like for MX, it can be built. Back again with another fictional (sadly) MX basing concept. It appears in the 1989 technothriller 'The Day Before Midnight' by Stephen Hunter. The plot revolves around the seizure of an experimental(?) MX silo dug into South Mountain in the vicinity of Burkittsville, Maryland (In the introduction the author apologises for messing about with geogaphy to make a better story). MX missile trench deployment concept photograph found on eBay. I admit not reading through all the posts to see if this was already here, but nonetheless it has all the MX basing modes seriously contemplated in great detail. The PDF's are individual chapters but downloadable. Great document sferrin. It contains the first description of the WS-120A I have seen 70 feet tall 120" diameter and also mentions a new type/size missile a 80,000 lbs five warhead design. Interesting that's the size I would have to replace MMIII. Sure deployed with one MaRV but uploadable in a crisis. Boeing MX missile canister photo dated Sep. 14, 1979 found on ebay. 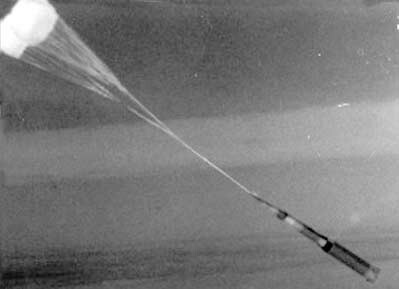 According to the (very limited) documentation I've found, ORCA was going to be canisterized MX missiles tethered to the ocean floor on the continental shelf. No manpower on site, just a canister and a tether. Never implemented because it violated the Seabed Treaty and was vulnerable to attack without corresponding advantages. I've never found anything about deep sea basing, but it wouldn't surprise me - they considered everything else, after all. Thanks to Asnys from Alternate History forum for the info. Comparisons of 30 Department of Defense ICBM basing modes from a Center for Defense Information publication circa 1981. Via a patent for a "Nuclear blast hardened mobile vehicle" that moin1900 posted over in the 'Midgetman (SICBM) mobile launchers' thread, a Rockwell International patent for an "improved railroad missile garrison system". An old CRS report from 1981, titled 'Assessing the Options for Preserving ICBM Survivability'. Includes an overview on AMMX (C-5 and Big Bird). Also mentions some ABM concepts such as LoAD and Porcupine. I'm *finally* getting around to doing something about that. Well, that's a delightfully wacky concept. Wasn't the only time that hovercraft were considered for this mission, and not the wackiest ICBM deployment or survivability concept by a long shot. True. But I think the drawing is pretty bizarre -- it looks to be a baseline LCAC, which couldn't even carry a bare MX, much less one with realistic environmental protection, erection gear, and launch support hardware. Even the stretched LCAC discussed would be very ahrd when you think about the mass of the supportin equipment needed. That, and the idea that air cushion cheicles can traverse land obstacles as easily as they can cross waves. Am I the only one that thinks the LCAC transforms into a submarine when the MX is fired? I was thinking more along the lines of one of those cars in the new Superman movie. Actually, I think it transforms into a very easy to find target. Given that it would be somewhere in the Southwest desert I'm not sure it would matter. It would be long gone by the time any weapon cued from observing the launch would be overhead. Martin Marietta Peacekeeper model with bronze coin found on eBay. Legitimate for collectors? Condition: No damage aside from normal wear. We sell many used items that have typical day to day wear. We make mention of any significant damage, cracks, break, repairs, chipping, fading, or flaws. If you have any questions regarding the specifics, please, contact us anytime. We are more then happy to assure you of the quality of the product. * If the is any problem with any item we sell please let us know immediately! We will respond within 24 hours and will do everything we can to resolve the issue. Piece is 18 Inches x 8 Inches x 8 Inches. I knew I'd read somewhere back in the day about using a GAU-8 to protect silos. Was starting to wonder if I'd imagined it. Hopefully it's more than just a printing of "Echos That Never Were - American Mobile ICBMs 1956 - 1983"
Thought I recognized the name. Yes maybe if it's fully updated with some great drawings and pictures would be nice addition to my 'nuclear' library. sferrin and other SPF members. Has anyone come across studies (or study) of super hard silo concepts? I thought I had something that talked about 50k psi possible? I've seen snippets but wondering about full studies. There was an article in Air Force magazine back in the 80s about them. 50ksi is right. They even had a picture where they'd done a simulation with high explosives. Showed the concrete tube sticking out of the bottom of a crater. They conducted a sub-scale (intended to simulate a 55,000 psi overpressure i.e. a direct hit from a ~ 1 Mt warhead) test on a superhardened silo constructed with Slurry Infiltrated Fiber Concrete (SIFCON). Not the best photo reproduction in the report but plenty of details. * One of the amusing remarks in the referring documents was that fiscal and political pressure were much harder to counter than overpressure. sferrin & marauder2048 THANKS much for the links. Why this is my favorite all time site amazing members. Why a basing mode wasn't selected. Washington—Alternate basing concepts are being considered for the USAF/Martin Marietta MX advanced intercontinental ballistic missile (ICBM) by high-level Pentagon officials as possible hedges to the linear grid system in the southwestern U. S. now favored by the Carter Administration. The hardest basing options I've seen for the MX were the various super hard silos, I believe 3,500 atm hard silos were actually built, or otherwise considered "certainly achievable", and 7,000 atm were considered "possible"; the Deep Base, where MX missiles would be stationed about half a mile and change underground along with Air Force crewmen, base personnel, and a team of tunnel bore crews, after the bombs fell the crews would dig themselves out egress tubes over several months, eventually break the surface, and fire their missiles; and the Deep Silo/Hard Rock basing, of which LANL's "Pencil Pusher" could resist surface bursts up to 100 megatons, while Boeing's "Sand Silo" could resist 25 megatons, both presumably direct impacts. I'm not sure how good these Google book scans are, what's omitted I mean, but they contain enough info for what I talked about. MX Missile 1977 US Air Force; LGM-118A Peacekeeper ICBM Overview from "Aerospace Power"
I've done a lot of reading on these topics over the years, my personal interest being ABMs but that often pushes over to counterforce issues. Some of the studies I've seen are truly hair-raising. One of the earliest is the PSAC report on Nike Zeus. They note that even if the system worked perfectly, the Soviets could simply drop their warheads upwind of the cities, just out of range of the missiles. These would cause so much fallout that it would kill almost as many people as a direct attack. With a few thousand warheads, 90% of the US population would die. Now later descriptions of such wars never seem to mention this, and I'm curious why. Does anyone know of changes to the understanding of fallout that might explain this? This comment relates to Peacekeeper deployment concepts how? So, NIKE ZEUS forces the soviets to move from direct casualties (Blast/Thermal Pulse) which are somewhat hard to defend against, to indirect attacks such as down wind radio logical dirty bursts; which can be defeated with relatively cheap fallout shelters, and this is a failure, how? Now later descriptions of such wars never seem to mention this, and I'm curious why. Does anyone know of changes to the understanding of fallout that might explain this? did not have the benefit of US and Soviet atmospheric testing which resumed in the early 60's. IIRC, that model could overpredict fallout by a factor a five. Ahh, this sounds like the likely culprit. Do you have any pointers to material that compare these models? I don't recall saying anything about "failure"? I do recall that this was the primary reason that McNamara stated he would not fund any deployment of an ABM that didn't also include funding for fallout shelters, and further, that they should go ahead with fallout shelters in any event. This attack mode was only one of many the PSAC considered. They also noted that due to the limited traffic handling capabilities of Zeus, there was a 90% chance that a direct attack by 4 warheads within one minute would allow one to hit the Zeus, thereby destroying 100 missiles. They also noted that a single warhead with a small number of credible decoys would do the same. Thus an initial attack on the Zeus sites would basically render them useless, and they could see no way around that. Apparently the third para of my post never made it. I wanted to go on to say that these early reports were similar to the ones prepared during the MX debates. Specifically, there are calculations that show rail-basing could be countered by attacking the entire US rail network, while air-basing suffered from a similar problem due to the relative softness of aircraft. Long and short, by the 1970s there were so many warheads available that massive checkerboard attacks like those considered in the original PSAC report were now relatively straightforward. That's why I thought Sentinel was so clever. The presence of a single short-range missile means the Soviets have to use 13 more of their own (or 26 depending on their profile). Consider a deployment of 10 MX missiles in silos situated in a set of 100 silos. The silos are spread out so you have to use a separate warhead against each one, no "two-fers". Let's further assume the Soviet warheads are good enough to hit these silos without needing a backup RV just in case. So in this case you need 100 warheads in order to attack the field. But that's totally worth it, because you likely have 10 warheads on each of your missiles, so it's a straight up exchange of 10 of your missiles for 10 of theirs. But now let's add a single ABM for each MX. Here's the trick - I know where my MX is and the Soviets don't. That means I can watch the attack as it unfolds, and find the one that's going to hit the silo where the MX is that I'm assigned to protect. And then I shoot down that one RV. The other nine fall on empty silos. In order to counter this, the Soviets have to add a second RV to every silo. And if I add another ABM, a third. This is a huge force multiplier. Sure, SALT limits the US to only 100 interceptors, but if each one of them is protecting a field of 10 silos, or 23 I think was the real number, you end up being able to soak up about half of the entire Soviet fleet before you lose even one MX. It's not that such a system eliminates the possibility of your MX fleet being destroyed, but it makes it SO expensive that the very idea of counterforce becomes meaningless. The same basic idea applied to Sprint II and Hardsite, but in that case it was the inaccuracy of the Soviet RVs that worked in their favour. With a CEP around 2 miles, they needed to shoot about three RVs at every silo, so the Sprint would pick off the one that was going to land close enough and let the other two hit the empty ground. That, however, was rendered moot by improved INS. And I agree, it's an awesome way to make the other guy have to spend through the nose to ensure the target is killed. Thought I saw somewhere where Russian ICBM silos are protected by something like Trophy on a larger scale. Yeah, that was a pretty sweet concept. Much cheaper to add a few more ABMs, and force the other guy to up his ICBM force, than to keep expanding one's own ICBM force. Only one I could find that hadn't been posted already. . .as far as I can tell. I can't help but wonder why this needed to be so damn big when the TEL that was looked at to carry the Soviet equivalent (basically), the SS-24 Scalpel, was so much smaller. Were these TELs or just transporter erectors for the MX/MPS scheme? Looking through the earlier parts of the thread, I think this is the TEL for the trench scheme. If so, it's designed to erect a hardened launch tube through several feet of soil. Some pictures I stumbled across supposedly related to MX superhard silos / Dense Pack.